Do you drive a Toyota and need an auto repair or maintenance service? Let Mike’s Foreign Car Service handle all of your Toyota maintenance and repair needs. We are passionate about all foreign cars, trucks or SUVs and that includes your Toyota, no matter if it’s a Tundra or a Tercel we can make sure that it remains safe and reliable for as long as you choose to drive it. It takes a lot to stay up on the ever changing automotive repair landscape. New features are being added to every vehicle which each new model and we know how to service them all. We can even service your new Toyota while it’s under warranty saving you that timely drive out to the dealership when all you need is an oil change. Regularly scheduled maintenance such as Oil Changes and Brake Checks allow our expert technicians to perform a full vehicle check whenever your bring your car into our garage. This timely service can help catch issues before they turn into real problems later down the road. Most Toyota drivers are more concerned with how fast their car can go or depending on the age, if it will even start but there is something that is equally important and that is how fast can you come to a complete and safe stop in your vehicle. Your Toyota’s braking system is one of the best safety features your Toyota has to offer. Our daily commutes or long road trips require you to stop often due to traffic signs, lights or road hazards, that’s why it is better to be safe than sorry when it comes to your brakes. If you haven’t had your brakes checked in a while, feel free to stop on by and we take a look. Don’t know if you need to get your brakes checked? A loud squeaking, squealing or excessive vibrations when depressing your brake pedal can indicate that your brakes are near wearing through and you should have a professional inspect your brake shoes and brake pads sooner rather than later. The Lexus line of vehicles comes in as many body styles as Toyotas with a little something extra. It is important to maintain your Lexus so it drives as well as it looks. 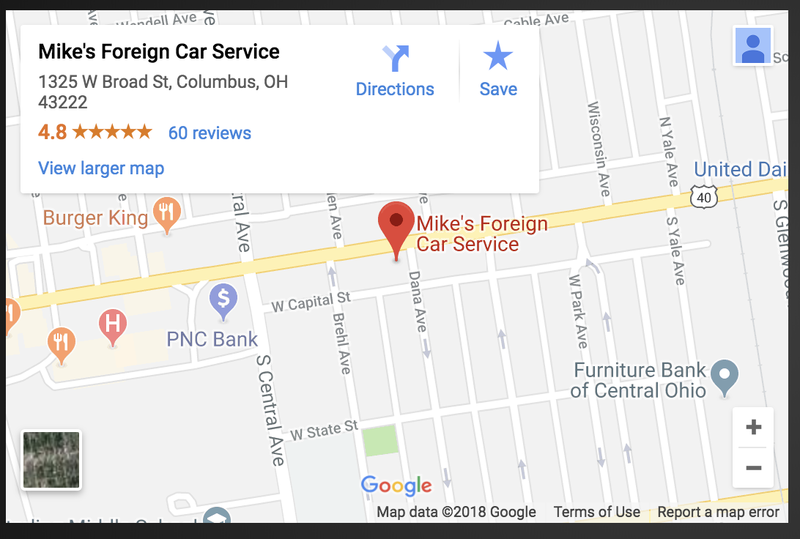 If you have questions about maintaining or repairing your Lexus, be sure to give us a call at Mike’s Foreign Car Service and we will be happy to answer any questions you may have. Our commitment to quality repairs and services makes us an ideal choice when looking to have your Lexus checked out by one of our professional and friendly technicians. If you need your Toyota or Lexus to be serviced, give us a call, drive on by our shop or conveniently schedule an appointment online for a day and time that works best for you!